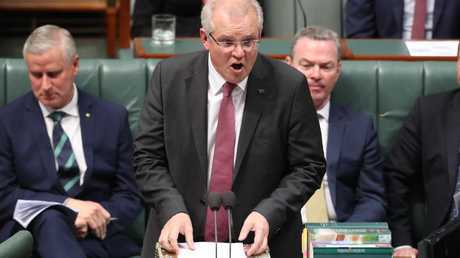 PARLIAMENT erupted during Question Time today after Prime Minister Scott Morrison accused Labor of "behaving in an anti-Semitic way". Speaker Tony Smith was forced to intervene and deliver a lecture to Australia's illustrious elected leaders about "the tenor of language" in the House. 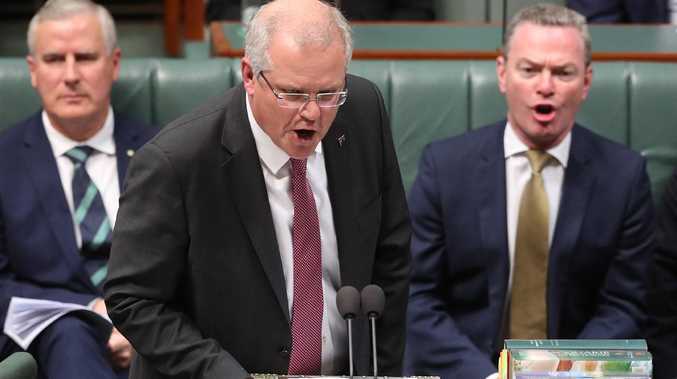 It started when Deputy Opposition Leader Tanya Plibersek asked Mr Morrison about his decision to consider moving Australia's embassy in Australia from Tel Aviv to Jerusalem. "Isn't this proof that the Prime Minister put votes in a by-election ahead of the national interest in the most cynically timed foreign policy decision in recent memory? How is the Prime Minister fit to lead the nation when he acts in such a desperate and reckless way?" Ms Plibersek asked. There are fears the government's shift on the issue will jeopardise its relationship with Indonesia, with whom Australia is supposed to sign a new free trade agreement before the end of the year. Labor has argued Mr Morrison made his announcement earlier this week to win votes in Saturday's Wentworth by-election. A significant proportion of Wentworth's voters are Jewish, and the Liberal Party's candidate Dave Sharma is a former ambassador to Israel. "We are aware of Indonesia's views on the Middle East peace process and they are entitled to their views on those, and we will discuss those views with them," Mr Morrison answered. The Prime Minister proceeded to attack Labor. "I know the New South Wales Labor Party, with their good mates who banned the New South Wales Jewish border deputies from attending the Labor Union Multicultural Action Committee. So we have a New South Wales Labor Party which is behaving in an anti-Semitic way," he said. "And they want to pretend to the Australian people that they're supporters of Israel. Really? Really?" At that point, MPs on both sides of the chamber blew up, drowning out Mr Morrison and Mr Smith. If you're wondering what Mr Morrison was referring to, here's the context. In August, NSW Labor leader Luke Foley had to publicly apologise to Vic Alhadeff, the chief executive of the NSW Jewish Board of Deputies. Mr Alhadeff had been invited to the launch of the Labor Union Multicultural Action Committee, but was then turned away at the door by Muslim MP Shaoquett Moselmane. Ms Moselmane blamed the incident on a miscommunication. Anyway, back to Question Time today. When everyone had calmed down a bit, Manager of Opposition Business Tony Burke demanded that the "anti-Semitic" comment be withdrawn. "Some months ago, you made a ruling where in response to a question from our side you said that even though technically the tone and language was not viewed as unparliamentary, you wanted to have a particular standard of debate in this parliament," he told the Speaker. "An accusation of anti-Semitism is extraordinary, and there is a reason why the reaction you just saw from the Opposition occurred. I ask that the Prime Minister withdraw." "I'm going to agree with the Manager for Opposition Business that I did ask for the tenor of language to improve, for the temperature to lower, and I think it's fair to say this week there has been a degradation, and I'd say from both sides," Mr Smith responded. "I'm not sure the Manager for Opposition Business wants me to go into all of the 90-second statements with respect to the Senate motion that's been a hot topic," he added, referring to Pauline Hanson's "It's OK to be white" motion on Monday - or more specifically, Labor's angry reaction to it. "I think it would be very remiss and very disingenuous of me and the Manager of Opposition Business to ignore that. Where members of the government have been compared to the Ku Klux Klan, and I took no action," Mr Smith said. "It is tough language, but it is a matter for the Prime Minister. I want the language on both sides to improve." Not everyone was satisfied with that response. As Mr Smith concluded, Labor members could be heard shouting "What a joke," and "Not fit to be Prime Minister".